John Digweed is an English DJ, record producer and acclaimed actor. John Digweed is a British deejay who is internationally known for his mixing and spinning prowess. While he continues to be a sought-after club deejay, he has expanded his musical interests to include club ownership and founding several record labels. Digweed developed an early interest in records and electronic equipment, going to parties and frequently mixing tapes for them. He told Stephanie Jorgl for Apple Computer Online that he "always liked music and being a DJ seemed like a really good way to play what I liked for people, and playing it in a way that I liked." He started deejaying while still in school, mixing music for college parties. In 1987 Digweed moved to London and tried to get jobs by sending his mix tapes to clubs. When that failed, he hosted his own regular party in Hastings. "I was very determined that I was gonna make it as a DJ," he told Jorgl. "I started booking deejays like Carl Cox, Grooverider, and Fabio, and putting myself on the bill. People would see the association and say, 'So you're playing with these deejays. You must be doing well now,' and then I'd get more gigs." One of his remix tapes found its way to Geoff Oakes--a promoter for Renaissance, a popular dance club in Derby, England--and Oakes liked what he heard. Digweed began working at the club in 1992, honing his techniques and mixing style, developing a sound that VH1 called "slightly edgier ... than the 'handbag' house that was becoming popular at the time. The media called it 'epic house.'" While working Renaissance, Digweed met Sasha (born Alexander Coe), another popular deejay at the venue. In 1994 the pair mixed Renaissance, the first club-mix CD on the market. (Club-mix CDs typically contain deejays' music remixes rather than original compositions.) This CD is thought to be the recording that took trance music (a melding of techno and house) into the mainstream, although author Mark Prendergast in The Ambient Century says that pinpointing this transition is "difficult." He concedes, however, that "[s]ome say it was when U.K. deejays Sasha & John Digweed's compilation Renaissance was released on Network in 1994." Digweed's work was continued to gain popularity, especially after "For What You Dream Of," a single first released in 1993, was included in the 1996 Trainspotting soundtrack. Sasha and Digweed are frequent collaborators who continue to spin regularly in popular British clubs. Beginning in 1994 the pair began to make American club appearances as well, most notably at Twilo in New York and at outdoor festivals in Colorado, Florida, and California. They also tour together. 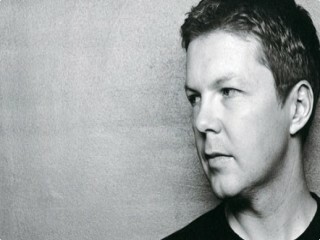 By 1998 Digweed's globe-hopping performances had earned him an international reputation, with VH1 calling him "part of the jet-setting deejay elite." DJ Magazine ranked him number seven in their top 100 list for 1998. Digweed's style has been categorized variously as trance, house, progressive, and electronic, and yet there's no one label that can or has been accurately applied to his blend of music. He claims he doesn't like labels either. "I just really think I'm progressive, but I like the dirty deep stuff, the tribal, harder driving sound," he told Dallas Music Guide. "It's just a mish-mash of everything really. I hate being labeled under just one sound." He told Billboard magazine in 1999 that he was most interested in gradually building and establishing his reputation in the United States. "One shouldn't rush a project and proclaim to the U.S. that 'Here we are.' Sasha and I know that it takes a long time to build a faithful following," he told the magazine. "Hopefully the Northern Exposure and Global Underground projects will reap the rewards of our constant touring and hard work." To further his international reputation, Digweed tours frequently, telling BBC Radio 1 he most enjoys performing in the Americas and Australia. "A lot of the places are not that different in terms of crowd reactions," he noted, "but you can't beat playing in some exotic warm country watching the sun come up." The longest set he has ever played as a deejay, he told Dallas Music Guide, has been more than 12 hours. "You can only play as long as the crowd is there," he said. "I love the venues where the crowd will stay and the owners are quite happy to let you stay and you just keep going, and I think that's the key. It's all well and good in playing for 50 hours, but there's no point to it if no one's enjoying the first five." Among his favorite music Digweed lists groups such as Pink Floyd, Talk Talk, the Cure, New Order, early Fatback Band, and Heaven 17; his favorite albums are the Bladerunner soundtrack and Pink Floyd's The Wall. He frequently listens to other deejays' work as well, and produces new recordings for his record labels: Bedrock, Bedrock Breaks, and Bedrock Black. In addition to original works, Bedrock reissues records by artists such as Herbal Infusion and introduces new deejay mixes. Beyond performing and recording, Digweed promotes shows throughout Europe under the pseudonyms Babealicious and Northern Exposure. He traveled with Sasha on the Delta Heavy Spring 2002 Tour, designed to bring additional attention to this music format in North America; he also works on projects with Nick Muir. Digweed eventually purchased a nightclub in southern England to give himself a venue in which to perform regularly. He also hosted a British radio show. Digweed appeared as himself in the film Groove about the rave culture in San Francisco, and also created the soundtrack for the 2003 film Stark Raving Mad. Asked whether there was anywhere he had not yet performed that he would enjoy playing, Digweed said he'd like to play China, Iceland, and Alaska, and quipped that he hopes one day to deejay on the moon. 2008 saw Digweed and Sasha reuniting for a Spring Club Tour that once again featured performances all over North America. Also in 2008, Digweed's music is to be featured in the film movie adaptation of Irvine Welsh's best-selling novel Ecstasy: Three Tales of Chemical Romance.In 2010, he was voted the number 29 DJ in DJ Mag's annual Top 100 vote. He has been featured in the top 10 from 1998–2008 and was voted number one DJ in 2001. John is the brother of 19 times World Clay Shooting Champion George Digweed MBE. -Global Underground 001: Sydney (U.S. and U.K. release), Global, 1998. -Global Underground 005: Hong Kong Boxed, 1999. -Global Underground 014: Los Angeles Boxed, 2000. -Northern Exposure Ministry of Sound/Ultra (U.K.), Moonshine (U.S.), 1996. -Northern Exposure 2: West Coast Edition Ministry of Sound/Ultra (U.K.), Moonshine (U.S.), 1997. -Northern Exposure 2: East Coast Edition Ministry of Sound/Ultra (U.K.), Moonshine (U.S.), 1997. -Northern Exposure 3: Expeditions Ministry of Sound/Ultra (U.K.), Moonshine (U.S.), 1999. -Stark Raving Mad (soundtrack), Thrive, 2003. View the full website biography of John Digweed.